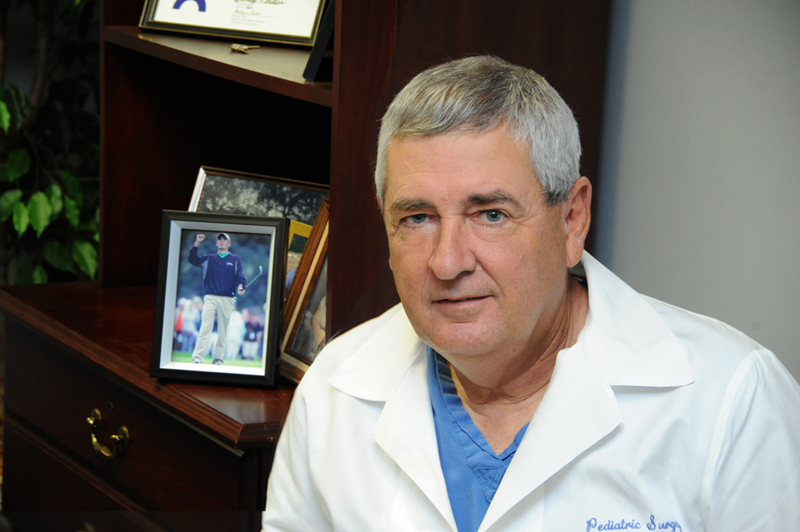 Dr. Charles Howell performed an estimated 16,000 pediatric surgeries and procedures during his 40-year career at the Medical College of Georgia and Augusta University Health. That means he operated on around 400 babies and children each year. 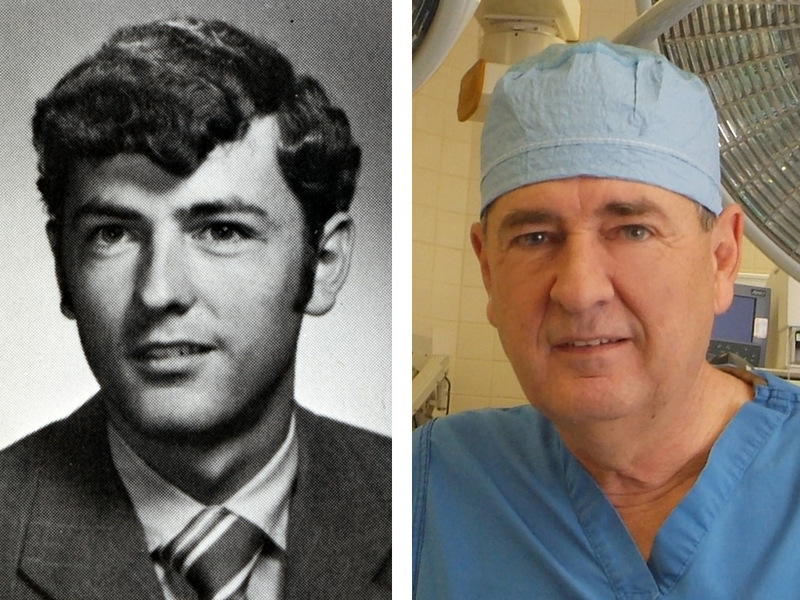 During his 40-year career at the Medical College of Georgia, Dr. Charlie Howell, chair and professor emeritus of Surgery and Pediatrics, helped turn the dream of a children’s hospital into reality when it opened in December 1998. The Children’s Hospital of Georgia celebrates its 20th birthday this year. Pouring so much time and effort into others’ children meant he couldn’t always be there for his own sons, Charles Howell III and Ben. “They knew when I got up in the middle of the night, or missed a soccer match or golf or something else, that I was taking care of a kid who needed me,” he said. And there were many times the boys made the rounds with him on the weekends. The pictures in his office offer a glimpse of his family, but also the many children and families touched by his care. “I’ve got drawers full of them and a bunch more up here,” he said, pointing to a shelf lined with frames. 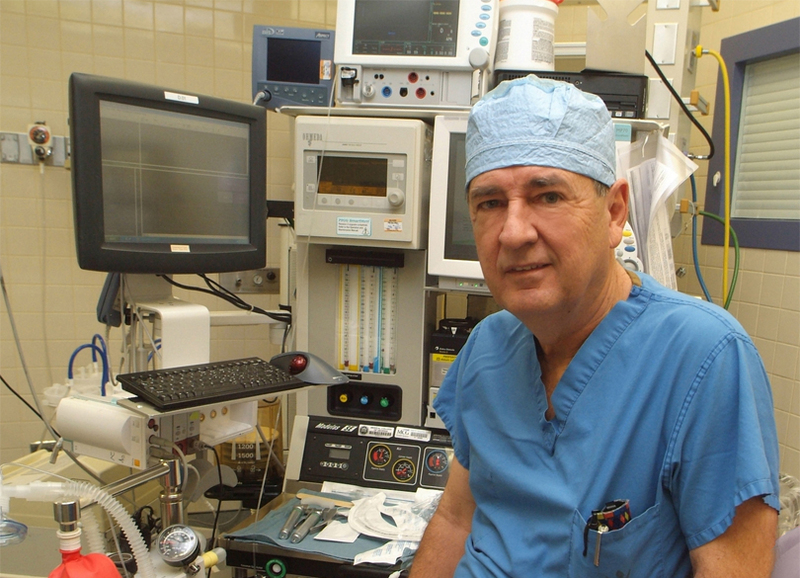 Dr. Charles Howell has operated on an estimated 16,000 babies and children over four decades as a pediatric surgeon. He keeps photos of many of them in his office, along with pictures of family and special friends. The first condition occurs when the upper part of the esophagus doesn’t connect with the lower part (or the stomach), and the other is an abnormal attachment of the esophagus and windpipe. It was a situation that would put pressure on any surgeon, and operating on children was still new for Howell. 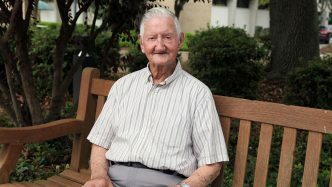 He was fresh out of school and had just returned to Augusta after completing a two-year surgery fellowship at Children’s Hospital of Philadelphia. Now add to that a personal connection. “The baby’s mom was a friend of my wife,” he said. “And they were both nurses,” meaning they knew the dangers that could happen in the operating room. Fortunately, the surgery was successful, and the “baby girl” is now in her 30s with children of her own. 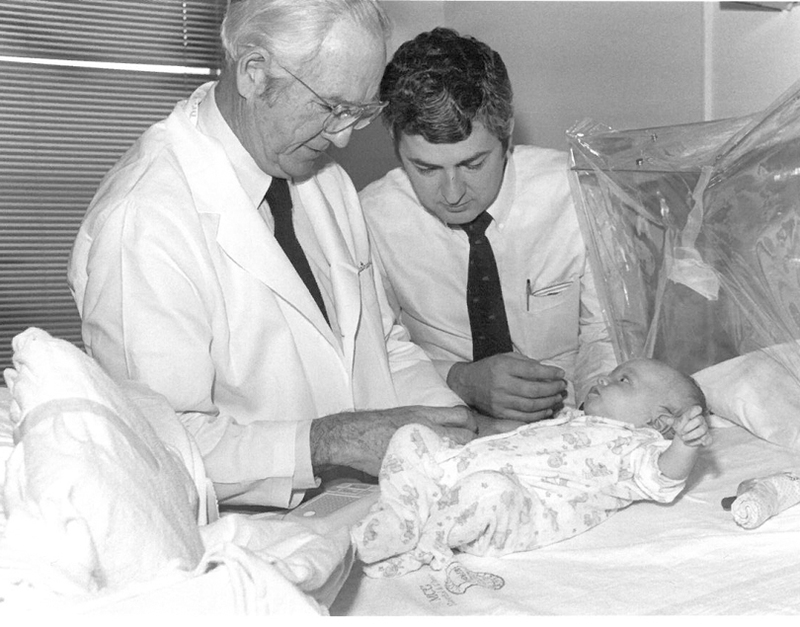 Dr. Robert Parrish and Dr. Charles Howell examine a baby, circa 1986. He moves on to the more recent story of Reese Smith, a boy who has been featured in photos with Howell to help raise money for Children’s Hospital of Georgia over the past several years. “He wasn’t supposed to live,” said Howell. Reese was born with his intestine outside of his body, little to no kidney function, and a host of other complications. “It’s difficult to take care of a kid with multiple problems like this,” said Howell. But it was this kind of challenge that attracted him to pediatric surgery in the first place. “I’d already told his mother, Alicia, several times that there was nothing we could do, but I said we’d try. I was telling her what I thought, not what I knew,” he said. That meant there was a glimmer of hope. Howell and a team of pediatric specialists, including a nephrologist, neonatologist and a urologist, worked together to stabilize baby Reese. In addition, they attempted progressive dialysis techniques to compensate for his chronic kidney failure. To their surprise, Reese kept making progress. He has undergone years of intense procedures, multiple surgeries, and a kidney transplant at age 3. Miraculously, Reese will celebrate his 9th birthday in December. 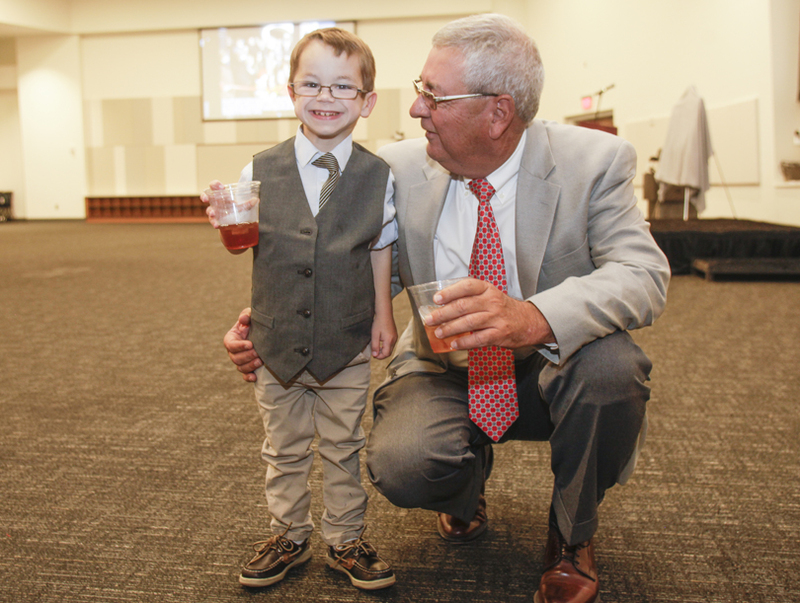 Reese Smith calls Dr. Charlie Howell his hero. Reese, who turns 9 this month, was not expected to live past birth, but Dr. Howell promised his mom that he and the dedicated teams at Children’s Hospital of Georgia would do everything they could to save him. Reese is one of many miracles that happen every day at the Children’s Hospital. Then there are children who came along after suffering trauma. He talks about a girl with a severe lap belt injury following a car accident that detached her liver from the vena cava. Howell described how he and other surgeons literally had to put her back together. 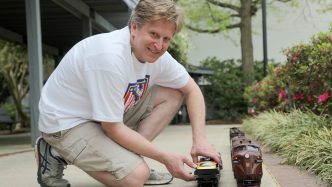 “It’s rewarding to know that the Children’s Hospital of Georgia has played a significant part in so many lives. There are lots of other hospitals and small-town ERs that don’t have the equipment or the technical background to take care of sick or injured kids, but we do,” said Howell. The 227,000-square-foot, 154-bed not-for-profit hospital was designed by kids, for kids. It’s a concept called Patient- and Family-Centered Care. Children and parents were brought to the design table to share ideas of what they wanted in a Children’s Hospital. And advocates like Howell were instrumental in moving the project from dream to reality. So when the architects planned to include just four pediatric operating rooms in the Children’s Hospital, Howell and his colleagues lobbied for eight. They were already seeing tremendous growth in pediatric surgery and subspecialty care. That decision proved prudent, as seven of the eight OR suites are utilized on a regular basis today. Howell and other pediatric subspecialists also travel to other sites across the state, including Albany and Athens, to evaluate sick babies and children. If your child is sick and has to have surgery, it should happen in a children’s hospital, says Howell, because children are not just smaller adults. Babies and children require expertly trained pediatric specialists and appropriately sized instruments and equipment. While the five-story Children’s Hospital opened in 1998, Howell said the first surgery wasn’t performed until Jan. 26, 1999. “We had to make sure everything was perfect before we put a child to sleep,” he said. This was something they didn’t take lightly. When a child goes into an adult operating room or an adult hospital for care, it’s not the same, Howell pointed out. Perhaps this is why the Children’s Hospital has been ranked the nation’s best in pediatric quality and safety at least three times in recent years. Children’s has come out on top in Vizient rankings based on a comparison of pediatric care at more than 100 academic medical centers across the U.S. The Children’s Hospital of Georgia turns 20 this year – a milestone that wouldn’t be possible without the contributions of visionaries like Charles Howell. He bent the ear of a politician to get the ball rolling in the mid-1990s. “If you make a decision that something is worthwhile, then it’s your job to make sure that everybody understands why you need it, that it’s worth fighting for,” he explained. 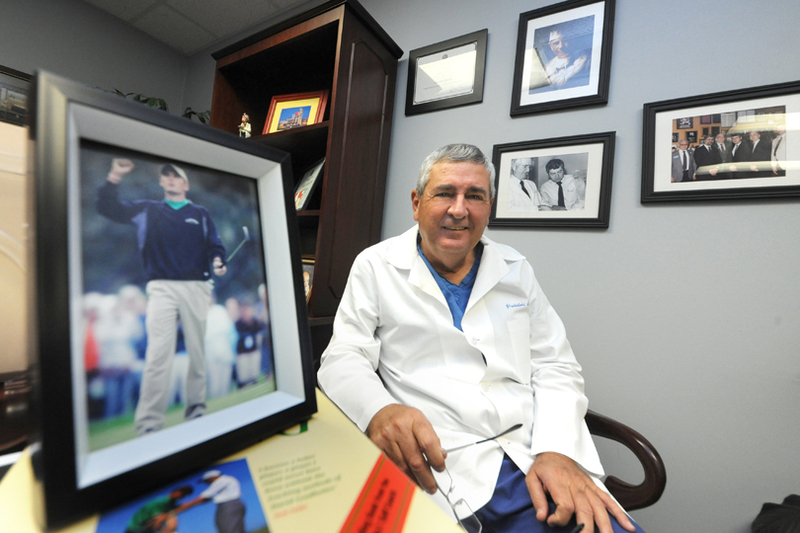 If there’s one lesson he’s learned from his patients, it’s to never give up. 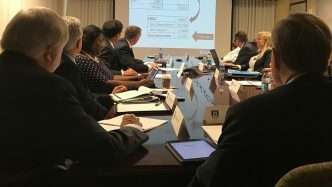 Though he retired in July, Dr. Howell continues to advocate for the Children’s Hospital of Georgia and pediatric health care as a member of the Children’s Hospital of Georgia Advisory Board.